Interview with Roderick Smith, general manager of Park Inn by Radisson Pulkovskaya and Park Inn by Radisson Pulkovo Airport. - Tell us something about yourself, your family and your career. How long have you been living in Russia? - We are a Dutch family (my wife, two children and myself) that got relocated from Kaliningrad over 2 years ago where we were based for 2.5 years. My wife and I have been living for nearly 15 years abroad. Right now I am working as Cluster General Manager for 2 hotels: Park Inn by Radisson Pulkovskaya and Park Inn by Radisson Pulkovo Airport. I started working for the company 18 years ago as a trainee and gained experience in different countries all over Europe. - Why Russia? Why St. Petersburg? Can you name us three things about living here you enjoy the most? - We were already living in Kaliningrad and the company offered me an opportunity to relocate to St. Petersburg. We knew straight away that we really wanted to move here because St. Petersburg is such a nice city full of culture, restaurant and social life. Since moving here we realized just how many people have St. Petersburg on their bucket list; many friends and family members have visited us already. - What can you say about Russians in general? - I found it at first hard to integrate but I realized that as soon as you are able to build relationships with Russians, you make friends for life. - Can you name us your three favorite places in the city? 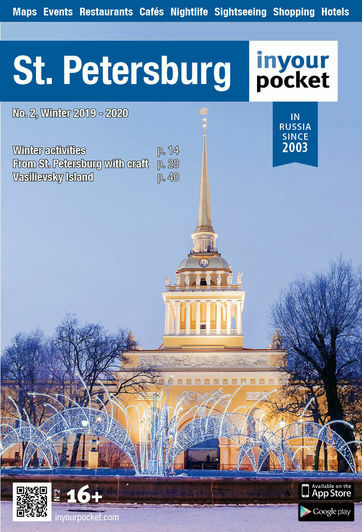 - The Peter Paul Fortress (our eldest child loves this place), boat trips around the Neva and the canals, and the numerous nice restaurants (Mindal is our favorite and recently we discovered La Marseillaise which was great). - Please give some advice to people who visit the city for the first time. Where should they start? What can't they miss? - The Hermitage! But go early and when the weather is not so great to avoid the mad lines. During the summer time do a boat trip and visit Peterhof. The Faberge Museum is amazing and simply walking around the city is bound to make you discover something interesting.